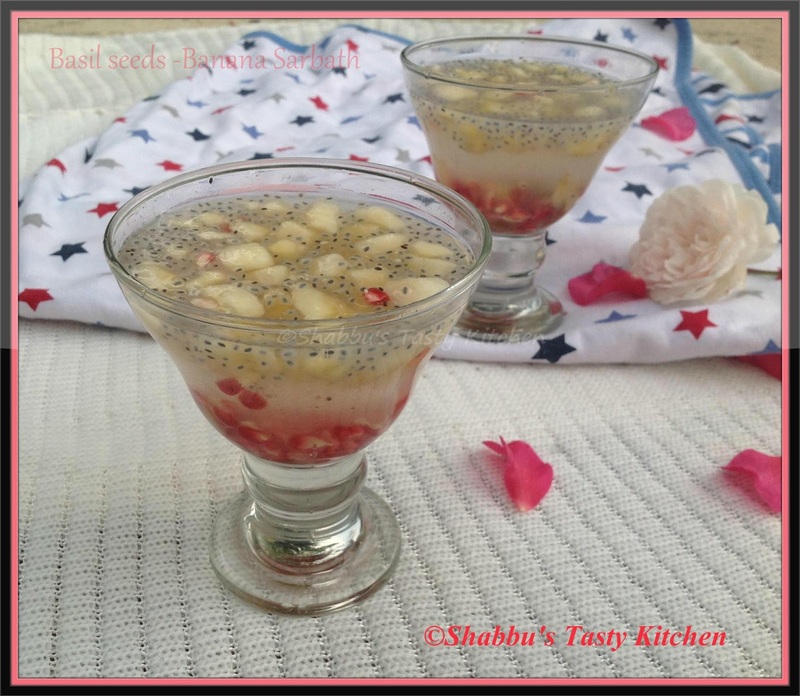 Soak the basil seeds in 1/2 cup of water for 10-15 minutes. Peel the bananas and mash them using a fork or back side of ladle and keep it aside. Cut the lemon and squeeze the lemon juice in a large bowl. Add the chilled water and sugar and mix well till the sugar dissolves. Add pomegranate seeds and soaked basil seeds and stir well. This looks so interesting... really nice!